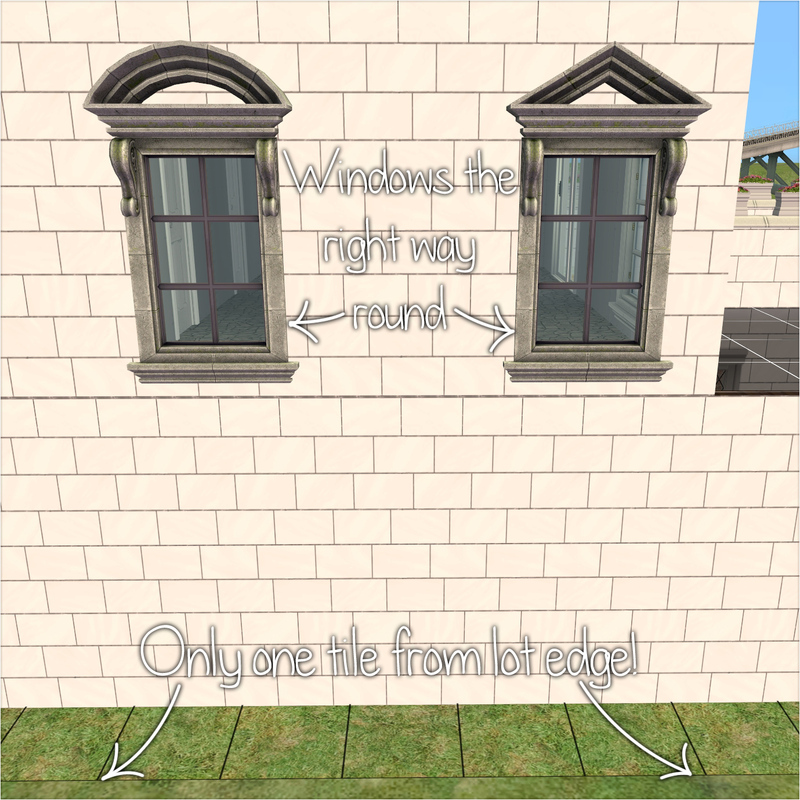 Yup - we all know that when you shrink lots, your windows sometimes get pushed back from the lot edge. But if you're unlucky, when you put them back in the right place, you'll only be able to put them in backwards - with the outside of the window facing in. For a lot of windows, it makes no difference... but for some, it makes a lot of difference. 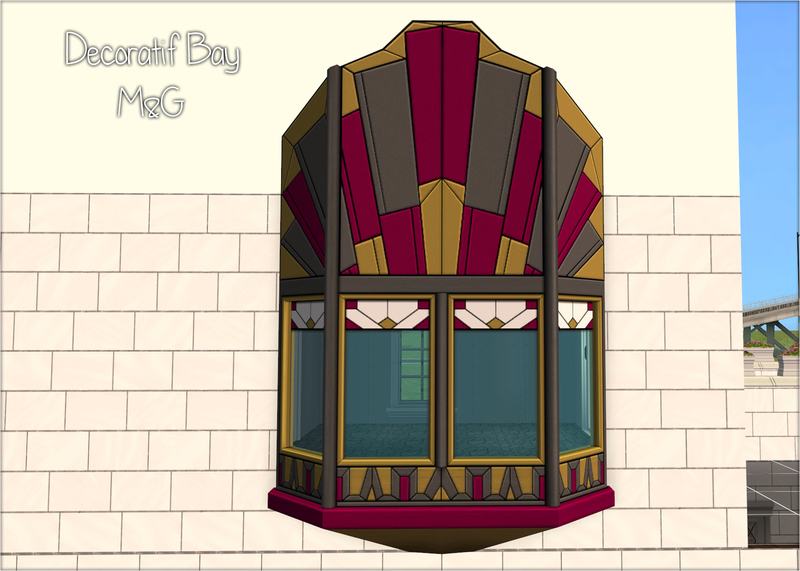 The reason for this issue is simple - the lead tile for the window has to be on the grid, or on terrain. Since there is no grid on the outermost row of the lot, except at ground level, you can't put the lead tile there. And if the lead tile is on the same side as your fancy outward fascia, you're stuffed. But luckily, that means the solution is very simple - just flip the mesh around, and you can place it correctly. So that's what I've done. 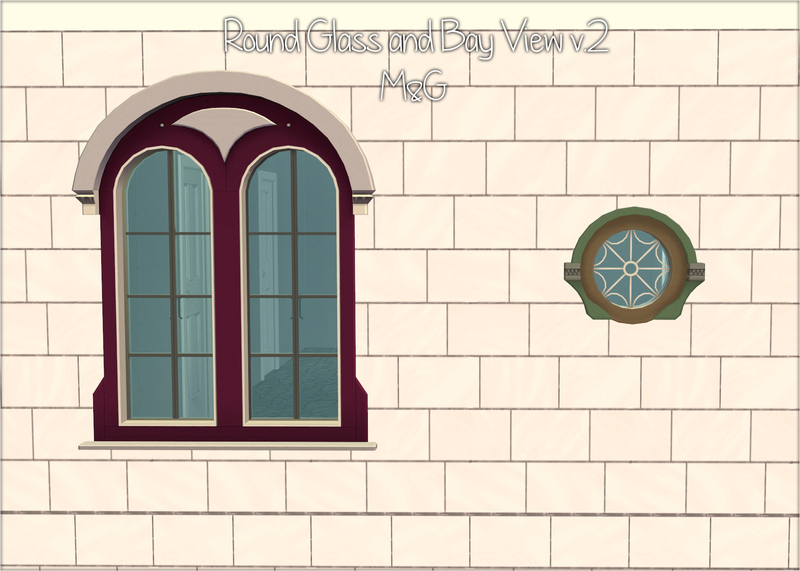 I've cloned the affected windows and used CRES translations to flip the meshes. 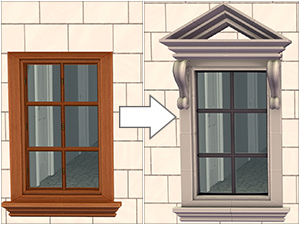 The flipped windows will show up as separate objects in the Build catalogue, next to and with the same price as the original EA windows. The clones all reference the original EA meshes and textures, so if you have any retextures, overrides, mesh fixes etc. for the original windows, they should affect the flipped versions too. 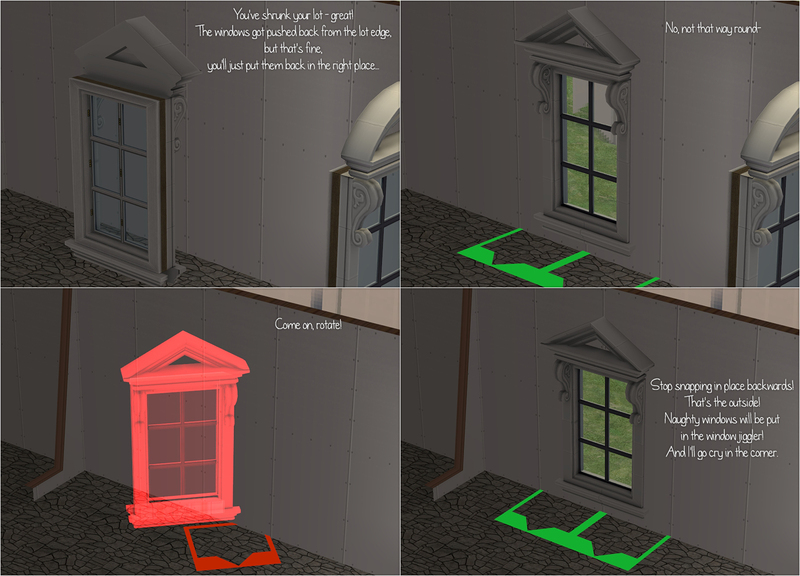 The only difference between the originals and these windows is the direction they face. 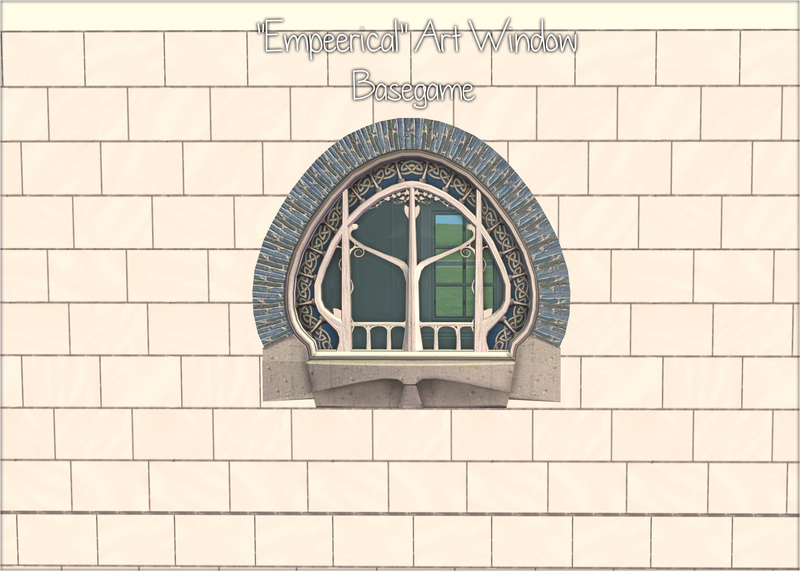 The other EA windows either are symmetrical, or already have the lead tile on the inside. 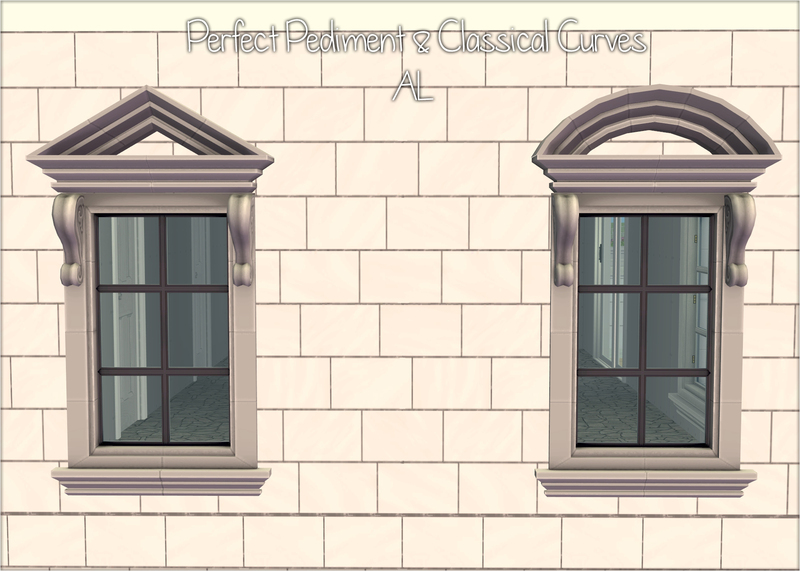 I decided to make these as clones, instead of default replacements, because making default replacements would have flipped around all the windows in your existing lots, which would be pretty inconvenient. This does mean, however, that if you share a lot which uses flipped windows, your downloaders will need to install whichever flipped windows you used. Feel free to include them in your download. X: Window width - 1. 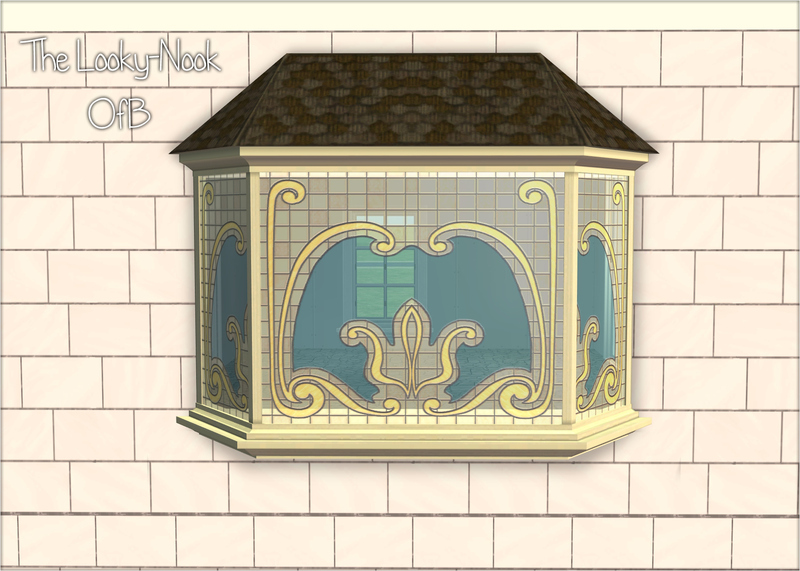 So for a one-tile-wide window, this should be 0; for a two-tile-wide window, it should be 1 etc. Do bear in mind that this will flip any copies of the window you have already placed, and will also cause this window to flip in lots you download or share. If you want to avoid that, just clone (and optionally repo) the window before editing the CRES. Numenor's extremely helpful info about the CRES, and Quaxi for understanding quarternions so I don't have to. 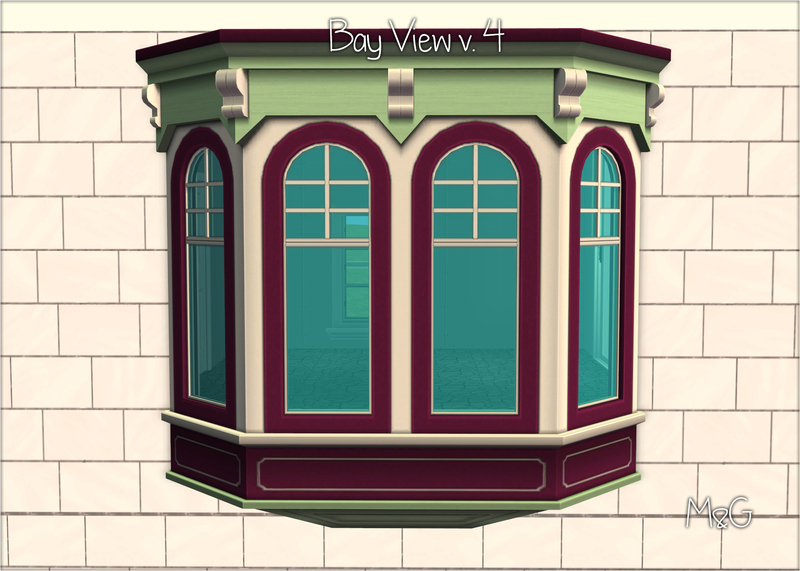 Flipped Windows - Full Set - Collection Only.7z | Description: Full set of windows which *only* show up in collections, not in the build catalogue. Collection files are included.